I’m so excited to share that Fistbump Media has a brand new course available! I had the opportunity to take a sneak peek at this course, and it’s fantastic! It really does cover every component of the publishing process, from start to finish. Does the idea of self-publishing terrify you? Have no fear! The new course, 30 Days to #SelfPub is a step-by-step, user-friendly guide to make your publishing dream a reality. 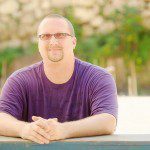 I’ve invited Dan King, owner and president of Fistbump Media, to share a bit more about the new self-publishing course. The big idea behind this course, especially compared to other self-publishing guidance I’ve seen out there, is that it’s an end-to-end walk though of the self-publishing process. Other self-publishing resources I’ve seen discuss ideas in the process, and many have some really great information. However, I know several people who end up getting stuck in the technical weeds when trying to actually walk through it. This e-course was designed to walk someone through the complete process, with all of the technical information they need to know exactly what they need to do. We’ve also worked to help self-pub authors work to step up their game. My goal is to publish their project at the same quality standards we hold for all of the publishing projects we handle at Fistbump Media. Self-publishing doesn’t mean that it needs to look unprofessional, and we want to help people publish high quality projects. To everyone reading, if you still feel too scared to tackle a self-publishing project on your own, feel free to reach out to the staff at Fistbump Media! We’d love to help you with whatever aspects of the publishing process you need.